During my tour in Uganda, I saw many forms of peacebuilding in action. One of the most memorable examples I saw was the work Action for Peace and Development (APED) did there with youth. During one of the days the group spent in Soroti, I was able to witness first hand the ways in which APED teaches communities different skills that help them in their daily life. I learned how to graft trees, various ways to grow maize and a few ways people till the soil for planting. Not only do these skills help provide a source of food and income to locals, they also promote peace through the strengthening of communal and liturgical bonds. The grafting of trees, the planting of maze and tilling of soil are communal jobs shared by everyone in the community. This contributes to a closer people who are working for the benefit of the entire community. It is very interesting and motivational to see how an organization like APED can promote peace while teaching people new cultivation techniques. While visiting Uganda, I learned a great deal of things that relate to my life back home. I learned that there are social problems everywhere around the globe and the only way to solve them is to do so by community building. Before this tour, I did not think of all the problems that are faced in Canada and other developed countries, I only thought that developing nations faced problems such as social tension, communal disputes and social unrest. But after learning more about Uganda I saw how the problems faced there are similar to that which are seen in Canada. During my time spent learning about the work APED does, I learned that I could better my community like they have theirs though community centered activities that contribute to stronger communal bonds. I also learned to become a more global citizen during this trip which broadened my world perspective as well as teaching me the importance of community building. In Uganda and Soroti in particular, I saw what the definition of a global citizen is and what I would have to strive to do to become one. People like Sam Eibu, who dedicate themselves to helping strengthen a community, taught me what it truly means to be a global citizen, someone not only aware of problems abroad but those who are willing to face and conquer problems that are hiding in their own backyard. 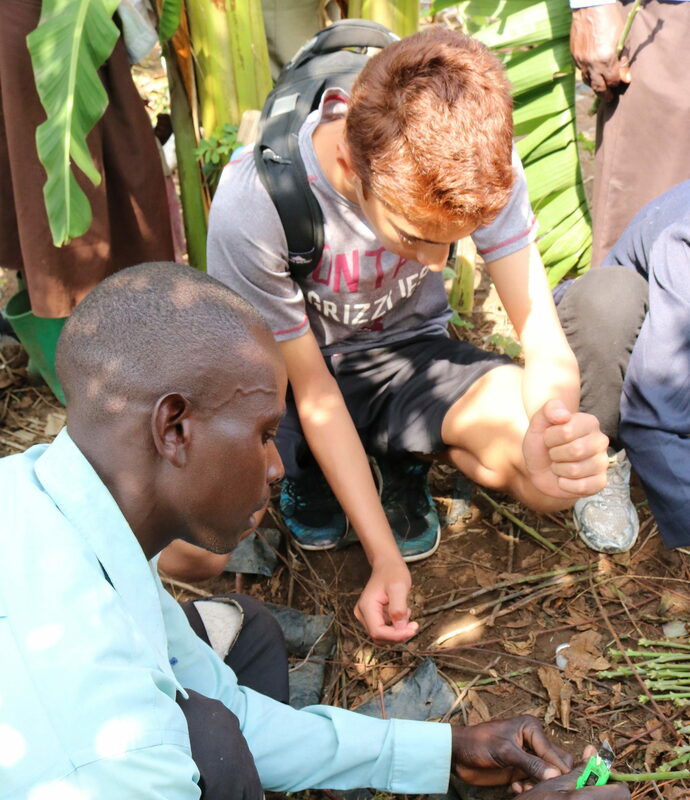 Aidan Sander of Lethbridge visited Uganda with ACGC and the Mennonite Central Committee in the summer of 2017, along with four other Alberta high school students as part of the Change Your World: Youth Leadership Program.